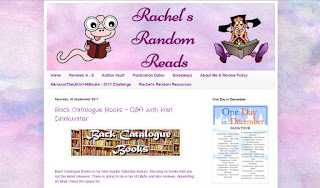 A couple of days ago I answered a Q&A on Rachel's Random Reads. Here's a backup of the post. Chronology in a writer’s mind can be a fluid thing. 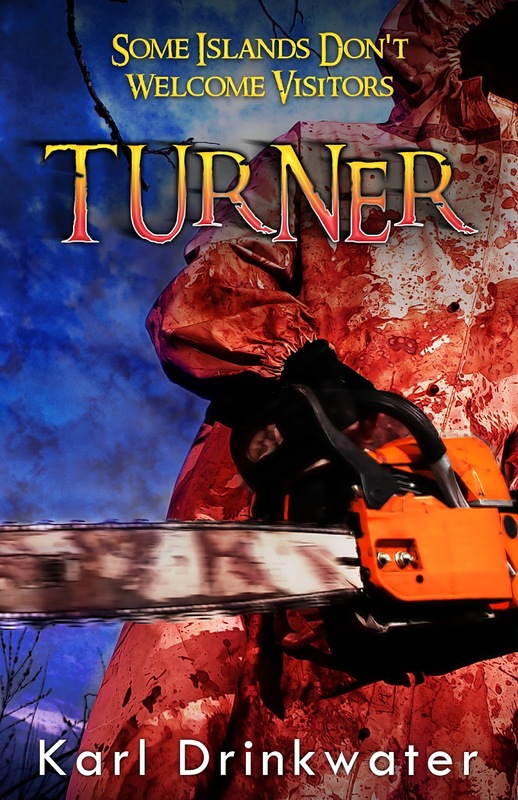 My first released book was the horror thriller Turner; but before that I had written a long literary novel that wasn’t working, so I put it in a drawer to ferment. After Turner I went back to my first book, worked with various editors, chopped it up, rewrote it about three times, changed from first person to third person, and eventually split it into two books – Cold Fusion 2000, and 2000 Tunes. Or, if you wanted to go back further, my first book was a choose-your-own adventure I wrote when I was sixteen and falling in love for the first time. I have always written because I have to. Mental steam escapes as squiggles on a page. I fall through it into other worlds of escapism. Stories nag and demand to be told. Who am I to resist? Five books published, another two written and almost complete. I’ll pick Cold Fusion 2000. My reasoning is that it was one of the first long things I wrote; and although early versions didn’t work, I never gave up on it. I honed, I polished, I replaced, and I eventually made it work. Fixing a broken thing teaches you more than throwing it away and buying a new one. Plus the book has a lot of heart, and a deceptive depth that has made a number of readers get to the end, have an “Aha!” moment, then start reading it again. 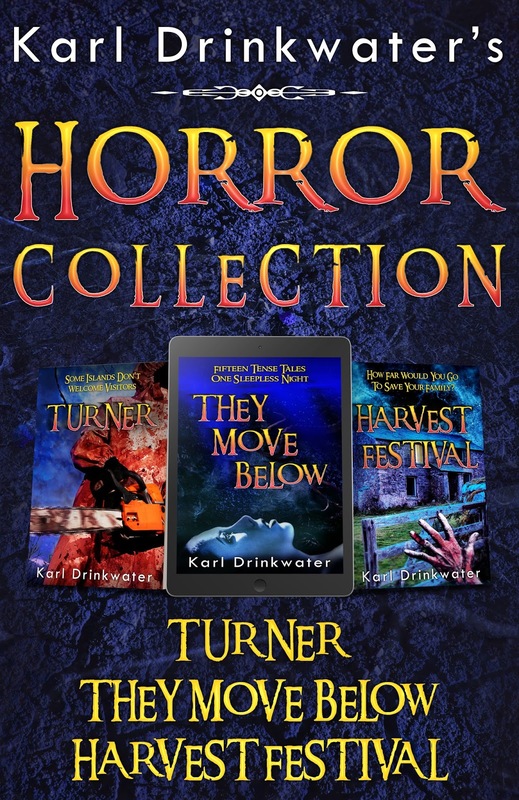 Having said that, when Harvest Festival was placed on the preliminary ballot for the Bram Stoker Award last year, I was practically buzzing and glowing with pride, and saw it as one of my career highlights so far. Ah, that has to be my next book, Lost Solace. It wasn't a fully planned project. I’d just finished a literary collection of relationship stories in NaNoWriMo 2016 but had a few thousands words more to write. So I started this sci-fi story, just thinking it would pass the time but be nothing special ... but I couldn’t stop! Another month on and it was finished at over 55,000 words. I've never had such fun writing before, or been so excited by a project. I really couldn’t wait to get started on it each day, and find out what was going on in Opal’s life. I think part of the reason is that I was writing exactly the kind of book I love to read, and tried to trigger a number of emotional responses. Fear, sadness, humour, suspense, compassion – I’m proud of it. I love the two protagonist nerds from Cold Fusion 2000 and 2000 Tunes. Alex is the “hero” of Cold Fusion, a physics geek, and I sympathised with how difficult he made his life, and how he gradually learned that life is more than your obsessions. Whereas in 2000 Tunes I could feel for Mark – he is obsessed with music, and wants a better life, but is being ground down by family and circumstance. But that novel also introduced one of my favourite female characters, the Welsh woman Samantha Rees. She is so feisty yet also vulnerable; tough yet loving; emotionally confused yet also strong … huh, I couldn’t help falling in love with her. I revisit my books fairly regularly, hence the new edition of Cold Fusion 2000 which has just been released. I see creation as iteration. Nothing is ever perfect, and over time we can polish things further. As such there is no single thing I’d change; in reality, I have changed hundreds of things. 2000 Tunes is getting a new edition, probably in early 2018. Even after that, a few years down the line, I’ll probably find other small issues I’d like to change. After all, life is ever-changing. Probably the cover to my collection They Move Below. It is difficult for a cover to represent a whole collection of short stories, but I feel that one does it, since it hints at corpses and being buried alive; dreaming; alien lights from the sky; the depths of the ocean; and many more motifs from the stories within. I am already a multi-genre author, because my primary focus is telling a good story – genre becomes irrelevant to me. I write horror, thriller, literary, contemporary, and now sci-fi. I also mix elements in to each other. Some of the horrors are also literary; some of the contemporary stories have elements of romance, and so on. After Lost Solace is published I’ll be working with my editor on a literary collections of short stories I am really proud of. Some of them were emotionally difficult to write, but it’s important for a writer to be able to tap in to deep veins in order to give depth to the work. It may seem like a cliché, but Stephen King. He doesn’t just write horror – Last Rung On The Ladder is one of my favourite short stories of all time. I grew up reading his books, and they shaped a lot of my interests. I really like the idea of this feature because so often there is a pressure for NEW NEW NOW NOW UPDATED CONTENT which totally misses out on the best of the past. When I read, the only factor I care about is whether it is a good book and a good story. When it was published is irrelevant to me. Half of the books I read last year were 10-100 years old. The main criteria should be related to quality, not chronology. Thank you so Karl for this lovely interview. 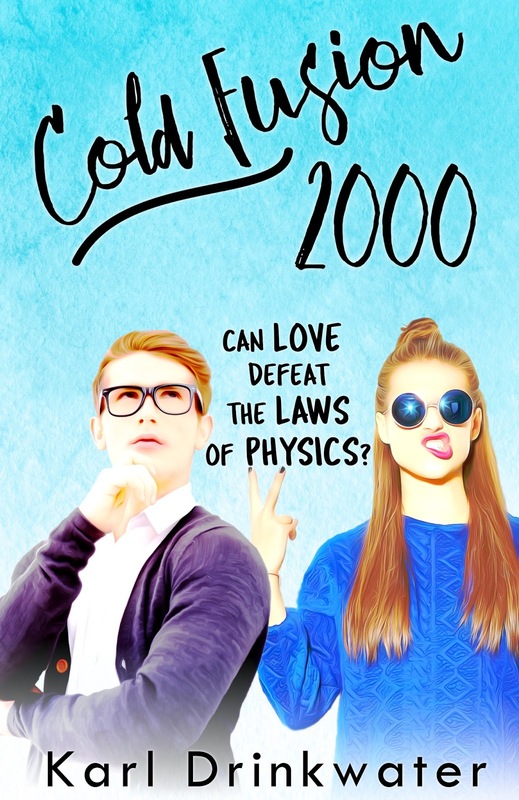 I must say I'm loving the new cover for Cold Fusion 2000 and do agree that the most important thing about a book is that its a good story, as opposed to how new it is. 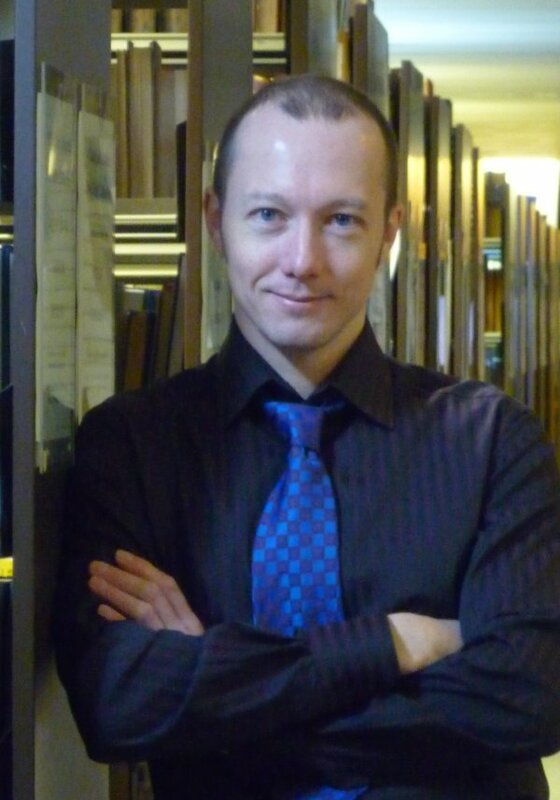 Karl Drinkwater's all important links so you can find him! Or just visit my Pronoun page and pick a book!